so I am starting to read this book over again. well I read almost all of it, but didn't finish it and it's been a year or so, so thought I ought to start over..
anyways, it's called Instant Emotional Healing. but I was just wondering what your personal advice would be, on the approach you'd take if you were me.. there are many things from my youth and past and present that upset me, I think that the first thing that happened to me wounded me pretty deeply, so I've let every thing after hurt and stick with me more than it should have.. so there's a lot of things that I want to address in that regard.. and many qualities I possess that have taken a tone too negative and excessive.. well not just that (I'm speaking of things like being overly critical) but also things like ocd and arachnophobia and other things relating to anxiety and socialness and so on... Ok lol, so I was going to go about it as first writing down a timeline of events that I feel have adversely effected me.. and tapping for those things.. then I guess after that tapping more about my personal issues like the specific ocd n stuff? I think that tapping about the past will make some of these things dissipate at least a bit right? well that was my half-hatched plan.. as you can see that's why I am asking for your opinion too. thanks and hope this was easy enough to understand lol I know my thoughts are a bit cattywompus.. thank you Xan! Sapphirez... The best EFT method for releasing these kinds of complex patterns arising from past events is The Movie Technique... choosing an event that comes up easily in your memory and tapping through the scene from beginning to end with all your senses going - seeing what happened, hearing what was said, feeling all the emotions, and so on. I haven't looked at "Instant Emotional Healing" in some time but I'm sure it has a more full description of the technique. Once the original event, or several significant events are released you may find the ongoing symptoms of disturbance fading away. If not then you could address each one, or go for tapping through another 'movie'. If you have more specific questions I'm available in pm. You don't need to have movie memories to start with, Sapphirez. Just begin with whatever difficulty you're experiencing now and treat it with EFT. Often people begin to remember how it all started once the releasing process has begun, and can go into that to clear the pattern more thorougly. Thanks for info! I cannot wait to try it. Do you think it would help to quit smoking? Yes, EFT is used for quitting smoking. Here are some case stories and articles about that. :) sometimes I use this on myself.. never had a name to reference it for others thank you, and I'll try to incorperate it into my healing more. 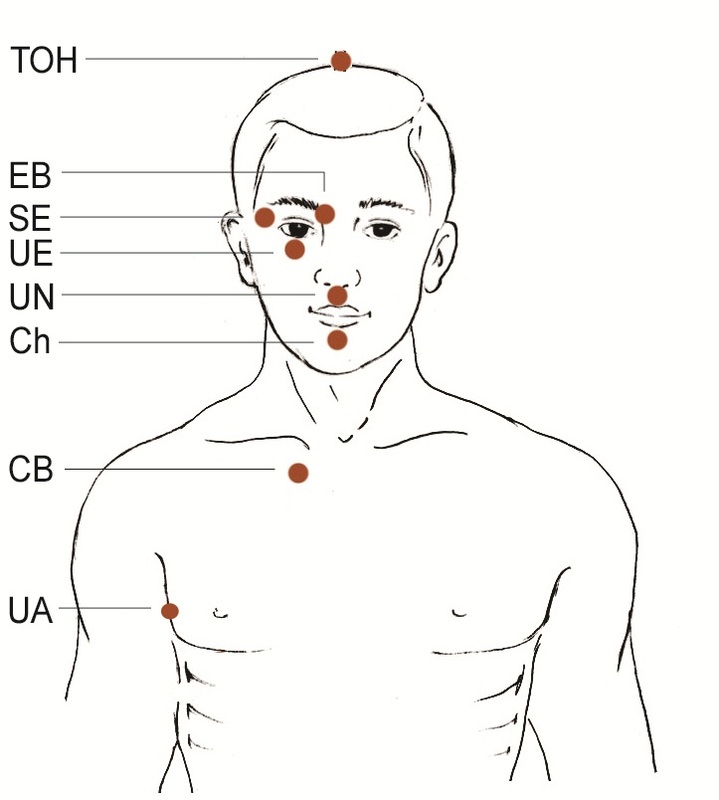 I've just discovered a pretty good list of EFT practitioners. Working with one, in person or over the phone, is sometimes the best way to get started, or to go into healing more thoroughly. These are the basic 8 points to memorize and tap...find out how to do it by watching a short youtube or 2....what to say, how many taps....it becomes second nature very soon if you have some stress or emotional upset.